Volcanoes certainly make our Earth one explosive place to live. 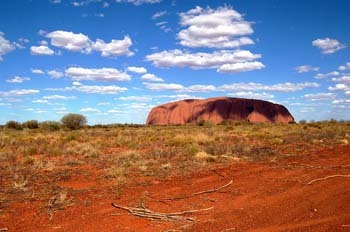 It also shows us the incredible power of nature and what it is capable of. Read on for some awesome facts! The word volcano is originally from the Roman name “Vulcan” the Roman god of fire. 1500 potentially active volcanoes in the world. In the United States there are about 169 active volcanoes. United States ranks number three in the world for active volcanoes behind Indonesia and Japan. 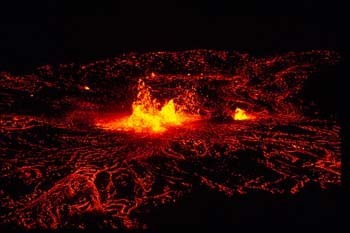 The majority of volcanoes on earth are in the Pacific Ocean in an area called the Ring of fire. In 1985 the volcano Nevado del Ruiz in Colombia erupted and unfortunately killed 25,000 people. The majority of the people killed was caused by mudflow. Volcanoes can spew out toxic gases and ash, and as of course lava. The ancient city of Pompeii was completely buried when a volcano erupted engulfing the whole city with ash and lava. Magma is the liquid rock inside a volcano when it leaves the volcano it is then known as lava. A volcano is a mountain that opens downwards to a whole heap of molten rock that lies just below the Earth’s surface. When that pressure builds up and it can’t contain it anymore, then you see an eruption of a volcano. Gases and rock fire up through the vent and spill over or fill the air with lava pieces. Eruptions can cause sideways blasts, lava flows, hot ash flows, mudslides, avalanches, falling ash and floods. They can certainly cause a lot! Volcano eruptions have been known to knock down entire forests. 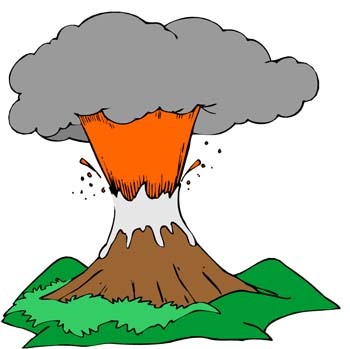 An erupting volcano can start off things like tsunamis, flash floods, earthquakes, mudflows and rock falls. Way deep down in the Earth, in the Earth’s upper mantle, you’ll find magma, debris and gases. When magma works itself up through the Earth’s surface it erupts through a vent to create lava flows and ash deposits. It is one of nature’s unbelievable natural events. As time goes on, and the volcano keeps erupting, they get bigger and bigger! Best to stay away from those volcanoes then! 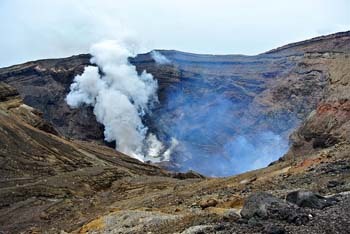 Active volcano – This is a volcano that has recently erupted and there is a chance it might soon. Dormant – A dormant volcano hasn’t erupted in a long time, but this doesn’t mean that it won’t. It could erupt in the future. Extinct – These volcanoes erupted thousands of years ago and there is no way it’s going to erupt again. Next time you go on a trip, make sure you see a volcano in all its might; but choose an extinct one! The Earth’s crust is made up of huge slabs, and these are called plates. Think of them like a massive big jigsaw puzzle where the pieces all fit together. Sometimes these plates move. This causes friction. When there is friction then this causes earthquakes and volcanic eruptions of the plates. This theory is called plate tectonics. Can you take a wild guess as to how many active volcanoes there are which are likely to erupt again? Well it’s a staggering 1,500! That is a lot of active volcanoes. Lava can reach 1,250°C! Now that is some hectic heat! Volcanoes can literally burn everything in their path…keep a lookout! So, would you set up home on the slope of a volcano? Well, we’re not sure that we would, but apparently the soil is so good here, that people call it home and grow great crops. That’s brave. 35 million, or 1 in 20 people, live within the danger zone of a volcano. Wow! This is interesting. Maleo birds use the heat from the volcano to help them hatch their eggs. They bury the eggs in the soil or sand close to a volcano. When the baby chicks hatch, off they go clawing their way to the surface. Cute! The world’s largest active volcano is Mauna Loa in Hawaii. It is a whopping 4,169m tall! In 79AD, Mount Vesuvius erupted and destroyed the town of Pompeii! The ash deposits preserved the town and its remains. And guess what, you can still see it today. It would be very cool to see that. The ‘Ring of Fire’ which is in the Pacific Ocean, is a 40,000km horseshoe shaped area. It is home to 90% of the world’s volcanoes. Wow! Now you can be the volcano king, knowing all there is to know to tell your teachers, your parents or your friends. You can maybe use these facts for a test too!